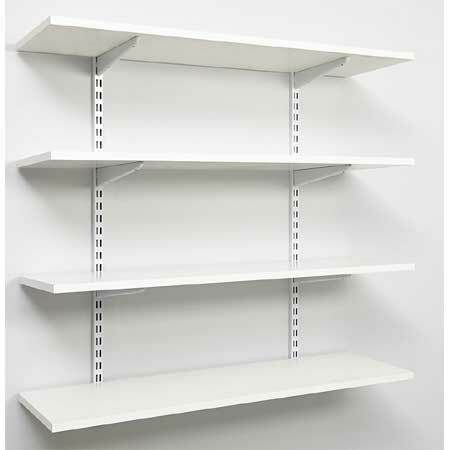 Our Twin Slot shelving kits are made from commercial grade steel and all metalwork is coated with anti-bacterial paint. This makes them suitable for hospitals, schools, universities, offices and stock rooms. Wall and shelf fixing screws are NOT included!